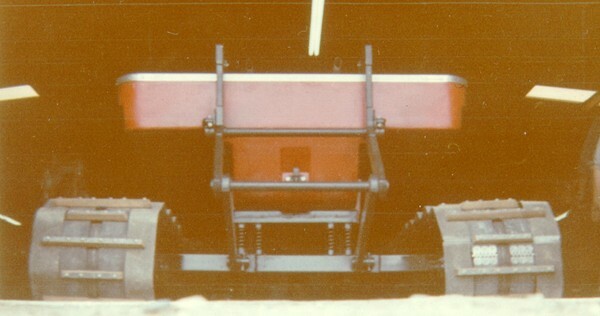 This unique prototype utilized a KT-4 bottom shell with a widened and extended track system. It was delivered to the U.S. Army’s Air Terminal Operations Center in Detroit Michigan, June 1962. The prototype was Corvair powered and is serial number #00104. The U.S. Army built the buoyant blobs and appears to have removed the hydraulic suspension for their tests. Official Army documents name this prototype, the Kristi "Water Walker." Special thanks to Fred W. Crismon for providing additional photos and information. Specific Kristi information found in his book U.S. Military Tracked Vehicles, can be viewed here. His book is a must own for any military enthusiast.